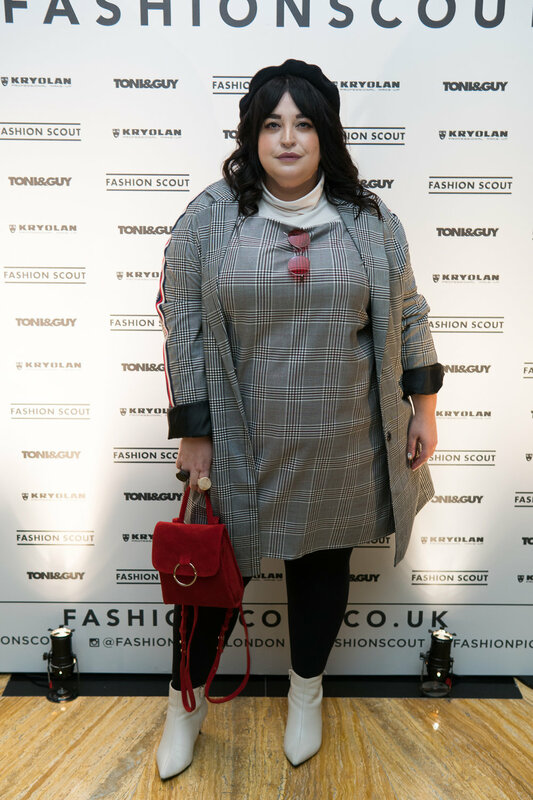 Danielle Vanier, fashion blogger and InStyle’s Best Curve Influencer, was photographed wearing a sophisticated coordinated outfit. The Prince of Wales check dress was paired with a matching longline blazer, creating a relaxed and contemporary look. The accents of red present throughout the accessories, including a ring detailed backpack and aviator sunglasses, create a more dressed down look, while the black beret brings the Parisian chic vibe that is ever present this season. 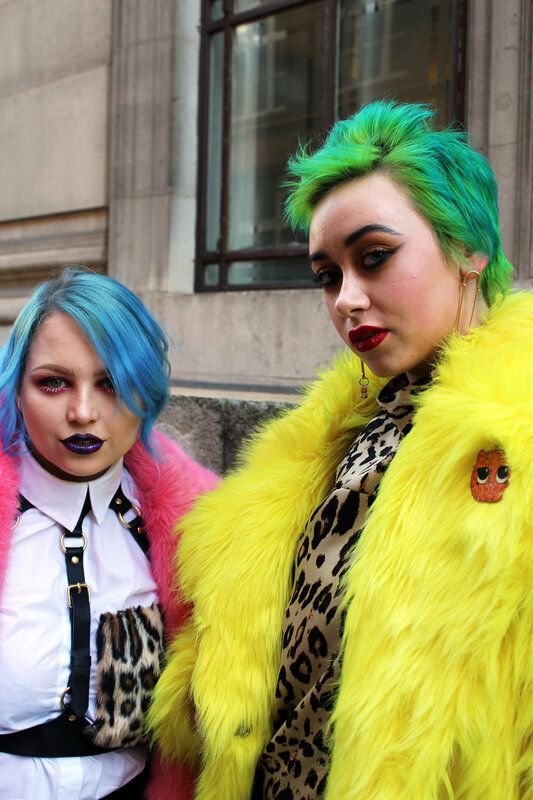 Vivid fur jackets and equally vibrant make-up and hair, ignite a creative flare that contrasts with the grey stone exterior of Freemasons Hall. A mix of playful leopard print with a structured, white, button-down shirt displays a refreshing combination of textures and print. The white shirt and body harness tie the collection of brightly coloured pieces together well. A powerful orange and navy blue striped three-piece suit was caught by our street style team. The flared trousers illustrate a nostalgic 70’s feel and the combination of a waistcoat and a jacket pulls the look together seamlessly. The added navy fur gilet elevated this eye-catching look and creates a sophisticated but unique Autumnal feel. Fashion blogging duo, Alice and Olivia were spotted before Amy Thompson’s whimsical presentation. They coordinated their outfits to compliment each other amazingly. Alice wore a mustard two piece consisting of a simple blazer with long spotty trousers. This playful look is completed with accents of black and paired with the hottest mini sunglasses of the season. Similarly, Olivia accessorised her dreamy blue and cream monochromatic outfit with cat eye sunglasses. She wears a baby blue aviator jacket over a two-piece suit, and finished with a pair of chic, cream leather boots.